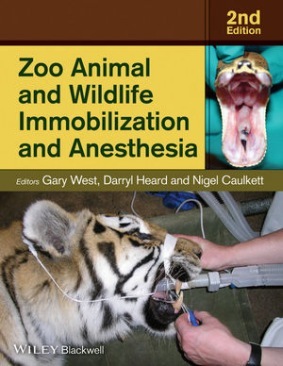 Zoo Animal and Wildlife Immobilization and Anesthesia, Second Edition is a fully updated and revised version of the first comprehensive reference on anesthetic techniques in captive and free-ranging wildlife. Now including expanded coverage of avian and aquatic species, this exhaustive resource presents information on the full range of zoo and wildlife species. Covering topics ranging from monitoring and field anesthesia to CPR and euthanasia, the heart of the book is devoted to 53 species-specific chapters providing a wealth of information on little-known and common zoo and wildlife animals alike. In addition to new species chapters, the new edition brings a new focus on pain management, including chronic pain, and more information on species-specific physiology. Chapters on airway management, monitoring, emergency therapeutics, and field procedures are all significantly expanded as well. This update to Zoo Animal and Wildlife Immobilization and Anesthesia is an invaluable addition to the library of all zoo and wildlife veterinarians.